All the team at The Greenbank Hotel love seeing our brides’ and grooms’ wedding photographs of their special day. 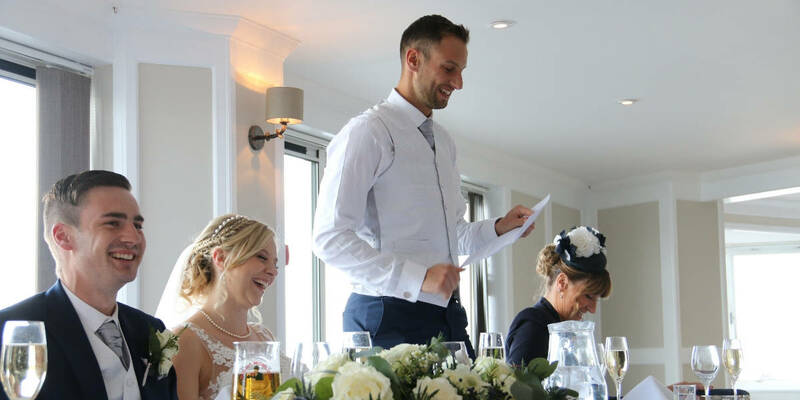 Here we feature Alex and Ian Bromwell, who got married at The Greenbank in August 2018. Alex and Ian hosted their ceremony and reception in The Riverbank, which can hold up to 120 guests. 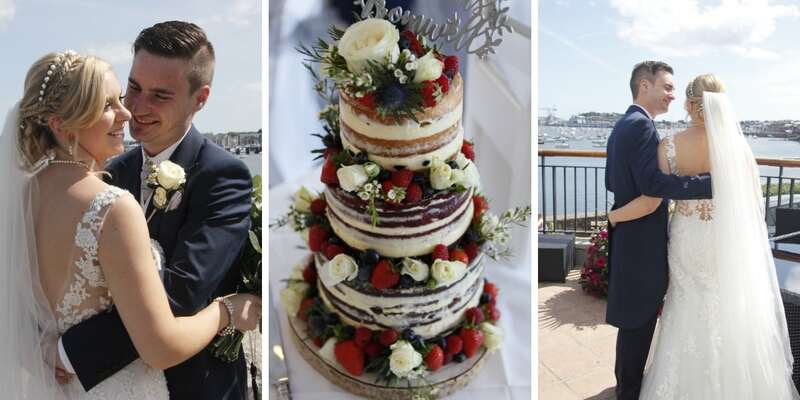 After the ceremony, the happy couple invited their guests to the Water’s Edge bar for a few bellinis and bottles of Corona before enjoying a three course meal in The Riverbank. They ended the evening dancing away until midnight, overlooking the harbour. 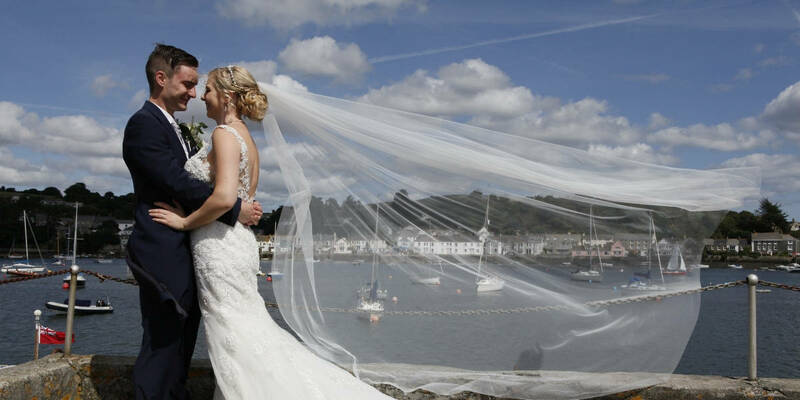 Both being from Cornwall, having our wedding by the water was very important to us. The view overlooking the river is truly magical and took our breath away. From the moment we stepped inside The Greenbank, we fell in love with the venue. Our mind was made up. Every member of staff we met were friendly and welcoming – nothing was too much trouble. From our first visit, we knew it would be a pleasure to have The Greenbank and their staff help organise our special day. The most special part was seeing each other for the first time. The build-up from not seeing or talking to each other since the day before the wedding made our first glimpse so emotional. It felt like we were the only people in the room. A beautiful moment we will both cherish forever. Don’t stress about the small things! It’s easy to get dragged into the pressure of throwing the biggest and best party. When it comes to it, none of those things matter. The only thing you notice on the day are your loved ones around you. People will tell you a thousand times that your wedding day goes so fast – it’s absolutely true! Make sure you spend time with your groom on your special day – it really does go in the blink of an eye. The time you spend together, taking it all in, are memories you will hold very close to your heart. Enjoy every aspect of the day, as it goes very quickly. Make sure you spend time with your bride – it’s your day after all! You’re made to feel like you need to spend lots of time with your guests but you only get married once, and it should all be about you and your bride. Prepare your speech but don’t panic about it. Speak from the heart and you can’t go wrong. There’s not a single thing we would change about our wedding day. It was everything we wished for and more.